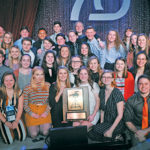 Recently, four separate groups from Rockford High School’s Beyond The Rock program received first place honors in their respective categories in an annual video competition. 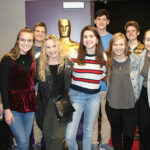 This video contest is put on by the Michigan Chapter of the National Academy of Television Arts and Sciences (NATAS), the organization behind awarding the esteemed Emmy awards on the national stage. 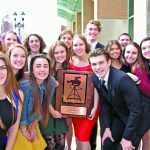 The student producers from Rockford High School competed with schools around the state for the coveted student production awards. NATAS only awards a first place in each category, making each winning video even more prestigious. 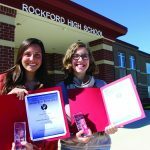 The BTR program won its first awards in 2005 with two news features covering school violence as well as a local canned food drive. 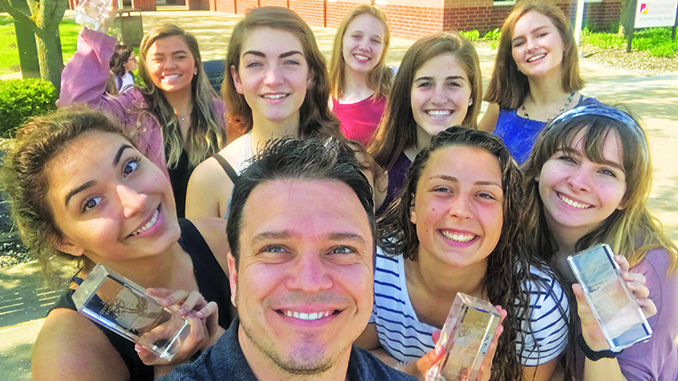 With this year’s four new awards (the most in one year for the program) the team now sits with ten crystal pillars showcasing the students’ professional storytelling skills. The awards were presented to the students by the NATAS Michigan Chapter president, Bob Gould. Each of these videos are available for viewing through the Beyond The Rock YouTube channel. More information can be found on Beyond the Rock by visiting their Facebook page.